What are the options for charging an Apple macbook air without using mains power or a fuel generator? I am travelling to a remote property and need to charge my Macbook air several times over a 2-3 week period. The place has a 12 volt set up to run various things. Engel fridge, lights, small fan etc. I will also have access to whatever charging options are available in a 2009 vehicle. You can get a cigarette lighter inverter. I’ve had one in the past that will run power from car that Macbook Pro can connect to. Just don’t use it without car running! Thank you. I am going to go with purchasing the inverter you suggested. I have since found out that the property owner has a cigarette lighter socket on the 12 volt solar set up. So it appears that I will be able to plug this new inverter into that, instead of the car cigarette lighter. Works fine ‘not running’ when you’ve got a dual battery setup where one is isolated and deep cycle (lots of 4 wheels drives are set up this way). I’ve used my laptop for days when camping like this (in combination with LED camp lights) before I needed to hook up the solar panel to top up the deep cycle battery. A friend mentioned a sinewave inverter today as being a safer charging option for sensitive equipment. Not sure if this is overkill or not. Pure Sine is much better than simulated Sine, but for your application a proper 12V DC power adaptor is likely more efficient than going 12V > 240V > 16.5V (or whatever the MacBook actually takes in the end). A 12V > 240V inverter is handy if you have other devices you might want to use, but if it’s really only for the MacBook I’d go for a dedicated adaptor. 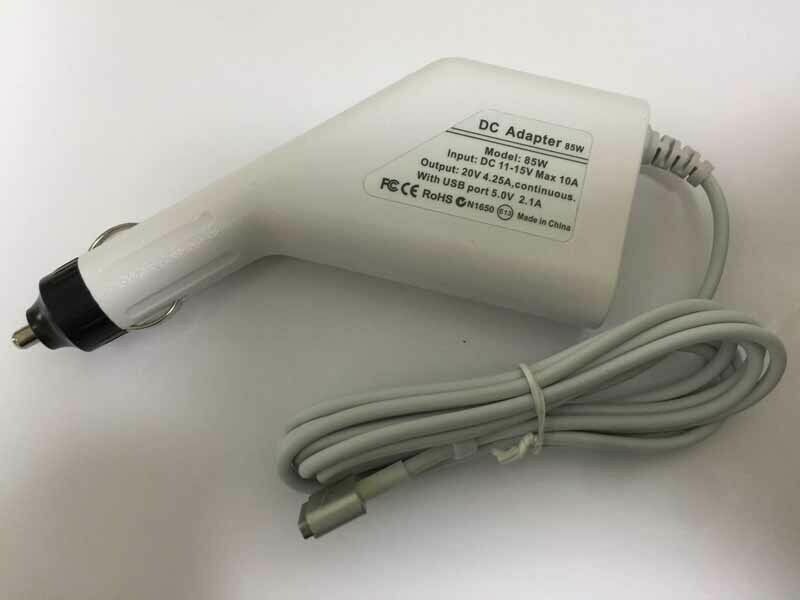 When you say a ‘dedicated adaptor’ are you referring to a genuine Apple product? I don’t believe Apple sell a genuine 12V adaptor, so you’re stuck with aftermarket from fleaBay or similar. Connector size:T-tip magsafe2 style connector( refer to picture). OUTPUT:20V 4.25A, 85W. INPUT: DC 11-15V Max 10A (for worldwide use).